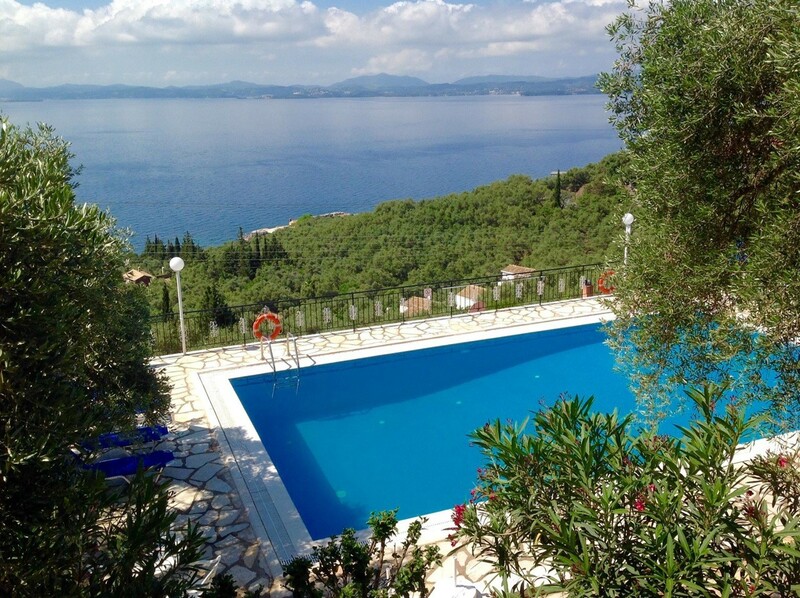 Amalia Apartment Complex is settled amongst the olive groves of Corfu Island’s East Coast. 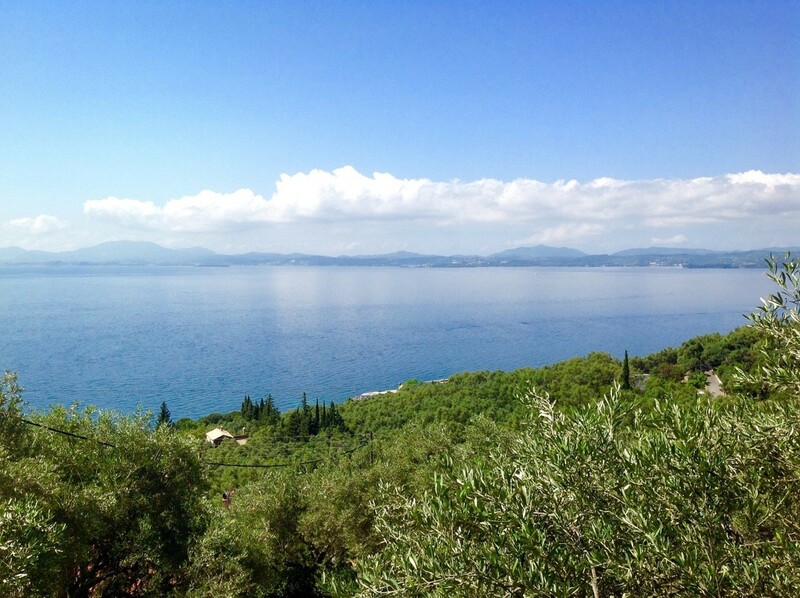 From here you can absorb the majestic views of the Ionian Sea and Pandocratoras Mountain. The location of Amalia Complex is peaceful and private. It is only a couple of hundred meters away from the beach and the picturesque Nissaki harbor making it an ideal holiday stay. Amalia Complex is comprised of traditional style apartments surrounded by Mediterranean gardens and a fantastic pool overlooking the sea beyond. Three separate buildings on two floors house a studio apartment and an apartment that sleeps four to six persons on each floor. 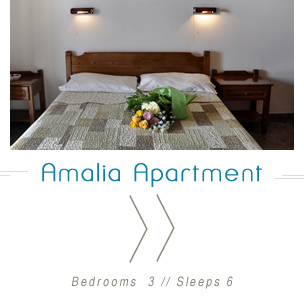 This makes Amalia Complex ideal accommodation for a group of friends as well as for couples or persons travelling alone. 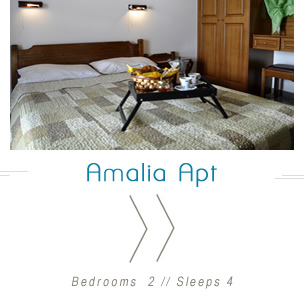 From experience Amalia is best suited to people looking for a relaxed getaway or a place from which to explore the rich natural beauty of the area. Each apartment has its own kitchenette in which to prepare your own al-fresco meals and are air-conditioned free of charge. A private balcony from which to wonder in delight about the stunning views and natural surroundings is available to each apartment separately. Amalia Complex is a family run business and we have been doing what we love since 1982. 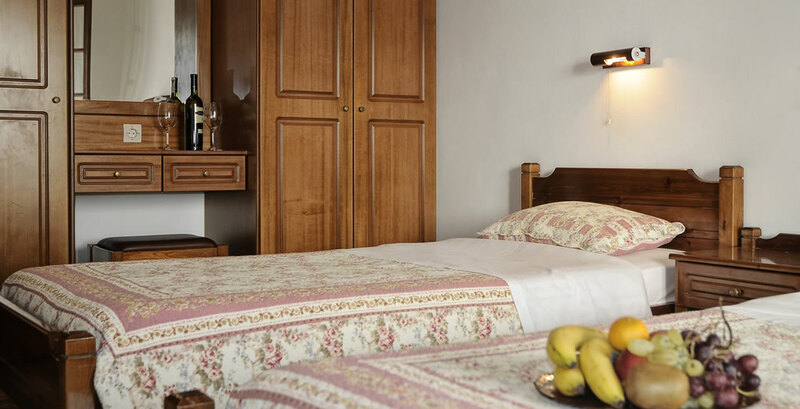 We are famous for our hospitality as we enjoy receiving people from all over the world and making their stay as comfortable as possible. 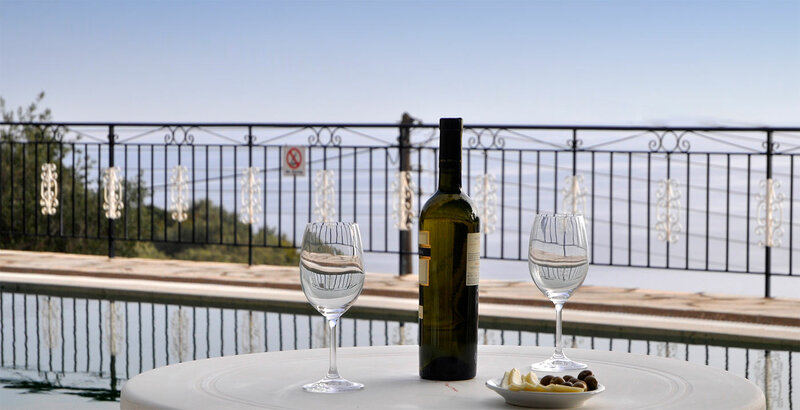 We want you to experience the Greek way of life and fall in love with it too. 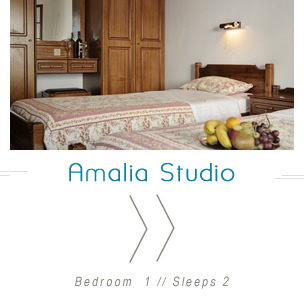 We spent 2 weeks in a studio at the Amalia complex in September 2013 and were very impressed with the standard of the apartment. It was very clean and the owners were most helpful and friendly. 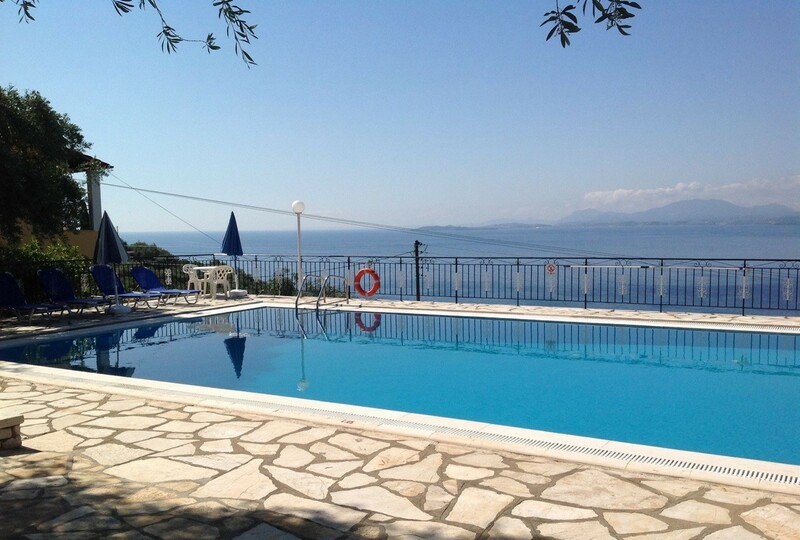 The apartments are located in a beautiful part of the island with amazing sea views. We made a decision not to hire a car but instead relied on the very good local bus service to get around and explore the rest of the island. We are looking forward to returning there again next year.